I present thirteen stories to horrify you, make you question existence, and even those around you. Thirteen tales of treachery, magic gone wrong and spells done right. Stories about people, just like you, who had a run-in with a Witch... or who are Witches themselves. You won't know who the villains are until the end. You won't know who the monsters are until they strike, but isn't that the best part about horror? - A handyman recalls the horrifying details of a job he wishes he'd forgotten. - An overly curious English teacher gets way more than she bargained for when she sets out to solve a mystery concerning her next door neighbor. 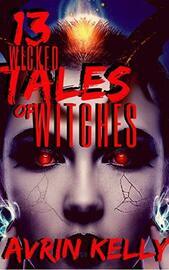 - A Witch out for revenge on an unfaithful lover, finds he may have beaten her to the punch. - A veteran cat burglar underestimates a wealthy old woman in the dead of night. - A young handyman tells what happened when he went to work with his father one Saturday afternoon. - A Warlock in college is having issues with his unruly doppelgänger. 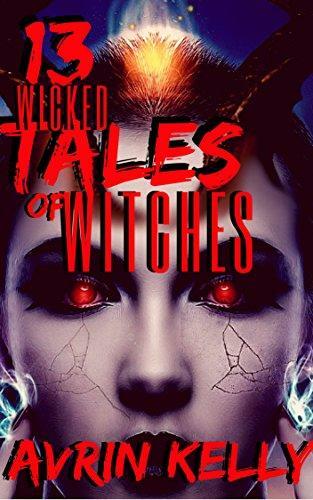 - And more... Read “Thirteen Wicked Tales Of Witches” and treat yourself to some twisty, turny (is that a word?) Halloween frights!! !